The Flat Head by Stacey Surfboards has a fun stubby shortboard outline that loves getting amongst the smaller waves. With a nice flat deck and full rolled rail, combined with a single to double concave and a flatter entry rocker, you are going to have plenty of fun on this beast. The Flat Head is perfect for those smaller days. 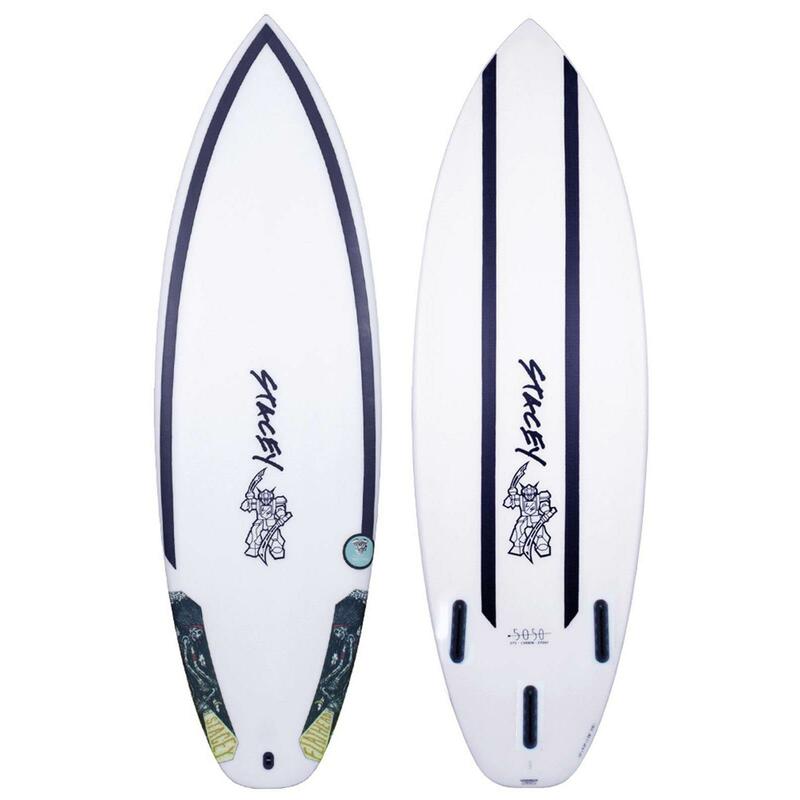 Surfed in a thruster setup, this board is a simple, uncomplicated template that will do everything you need. Built using the latest in EPS/Epoxy materials, the 50/50 technology combines a lightweight EPS core with High Grade Fibreglass Cloth Carbon Fibre Frame and EpoxyCarbon Fibre Frame a parabolic carbon frame on the deck and linear carbon stringers on the bottom is designed to provide a controlled flex pattern!The familiar flex of the liner carbon stringers allows the rider to generate speed while the parabolic frame on the deck controls twisting through the front two thirds of the surfboard. With a highly responsive feel this layup allows the surfer to generate speed and drive with ease.